Cyber Liability Insurance provides critical liability coverage necessary for any business or practice that relies on electronic data, computers, and networks to manage information. Simple tasks, such as sending an infected e-mail that brings down a customer’s or supplier’s network, can result in liability. Cyber Liability Insurance provides coverage for third-party claims relating to privacy injury, identity theft, or network damage. 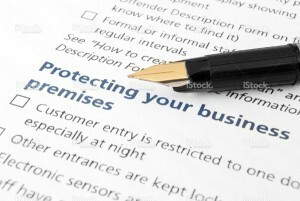 No matter what industry your business is in, few tasks are as important as keeping electronic and customer data secure. A data breach can not only lead to significant financial damage, but can also tarnish your firm’s hard-earned reputation. You need insurance that will put your mind at ease and a carrier that will help you manage the liability if you have a breach of data integrity and privacy. Lawyers Insurance Services can offer first- and third-party coverages associated with e-business, the Internet, networks, and other electronic assets and information. First-party coverage is available for network extortion, business interruption and extra expense, loss or damage to a network, and e-theft. Third-party liability includes media liability, privacy liability, network security liability, and costs to comply with privacy breach notification laws and defense of privacy regulatory proceedings. Our professional team can offer tailored industry-specific coverages and provide you with the tools and resources you need to understand your exposures and address potential losses.